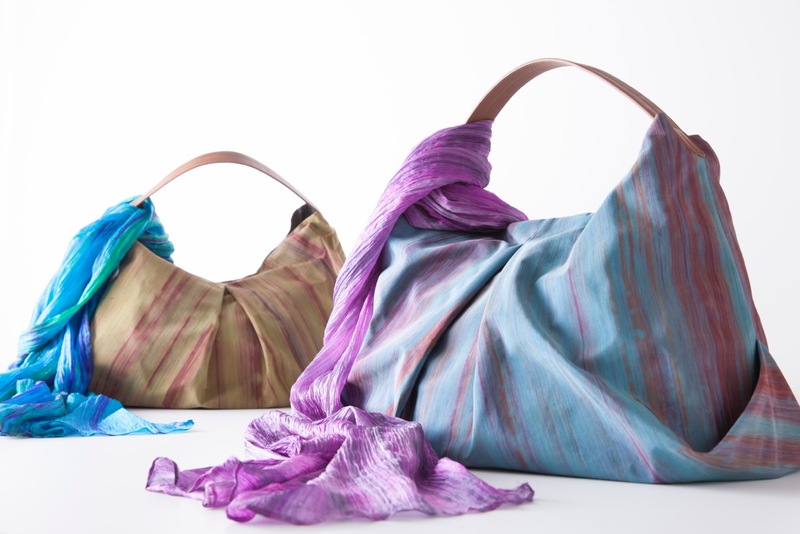 Inspired by the work of Claude Monet, our Watercolor Silk Scarves and Origami Hobo Totes are a lovely new addition to the assortment. Each piece is truly one-of-a-kind, handmade through the joint effort of dedicated silk farming villagers and skillful artisans. 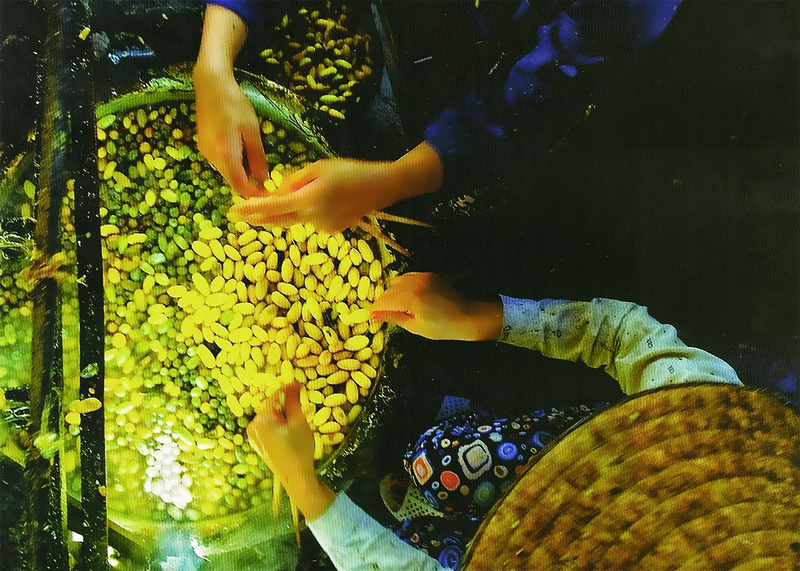 The process begins with silk cloth made from naturally harvested silk in the farming village of Binh Minh, Vietnam. 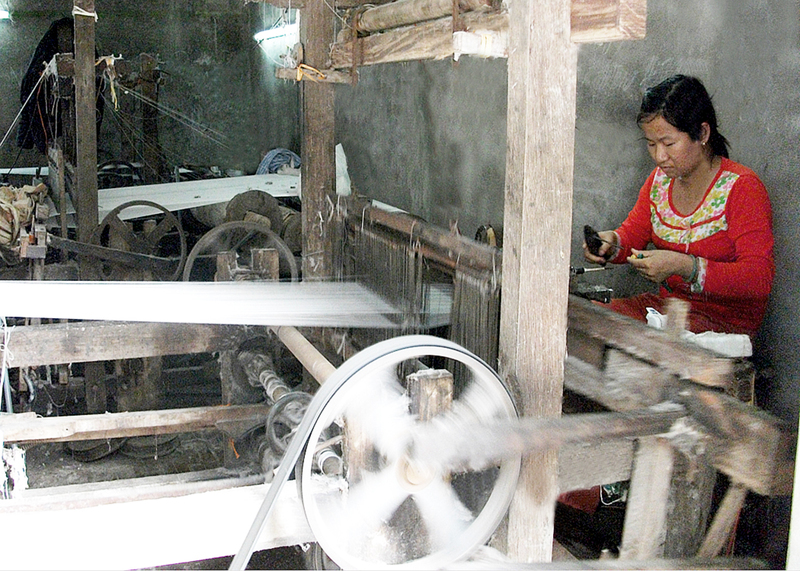 Working communally, each family within the village assumes a particular task in the silk production process. 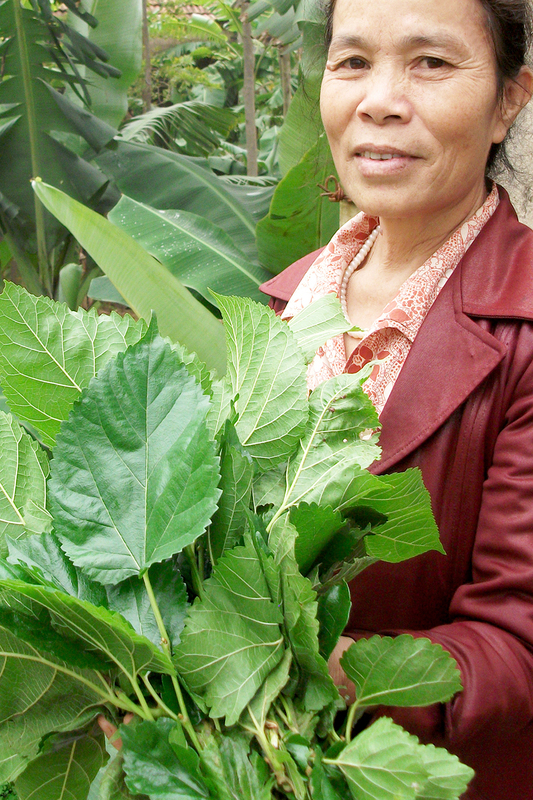 The process begins with one family raising the silk worms organically on a diet of Mulberry leaves. A separate family harvests the cocoons and spins the yarn while another family weaves the yarn into fabric on antique looms. Finally the fabric is hand dyed using Shibori techniques and a complex blend of watercolors to create unique one-of-a-kind patterns. Twisting and braiding finishes the process, resulting in the subtle crinkle texture that has become a signature characteristic of the Watercolor Scarves. 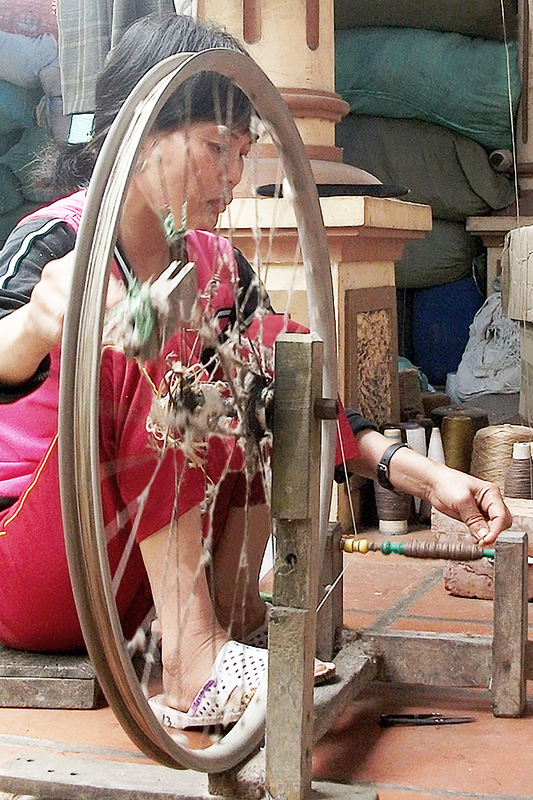 The fabrics are then transferred to artisan workshops in Ho Chi Minh City where they are made into the scarves and handbags. 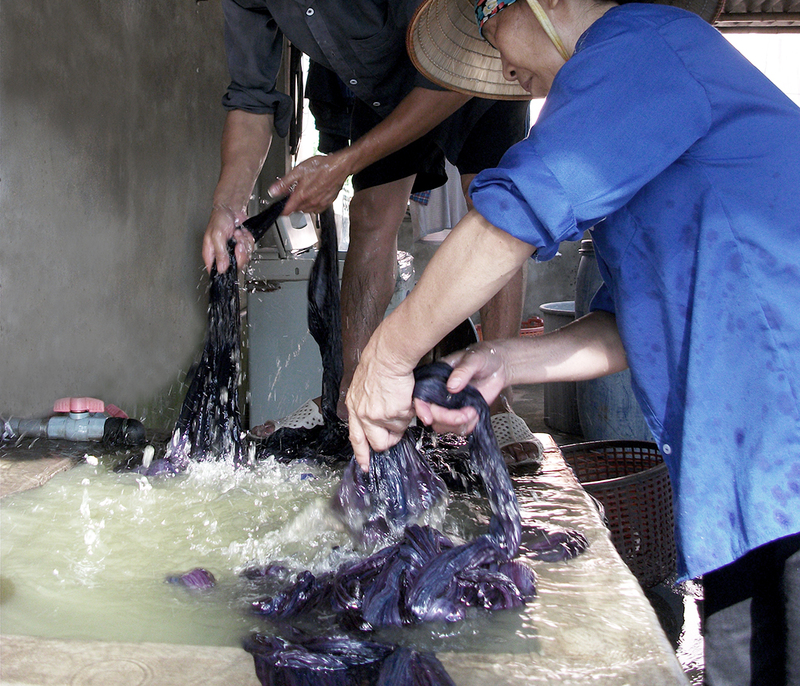 The dyed cloth of the handbags, undergo a bonding process for reinforcement before it is cut, folded and constructed into this unique origami-style shape.